What would you do if you found out your significant other had been cheating on you? Burn their possessions? 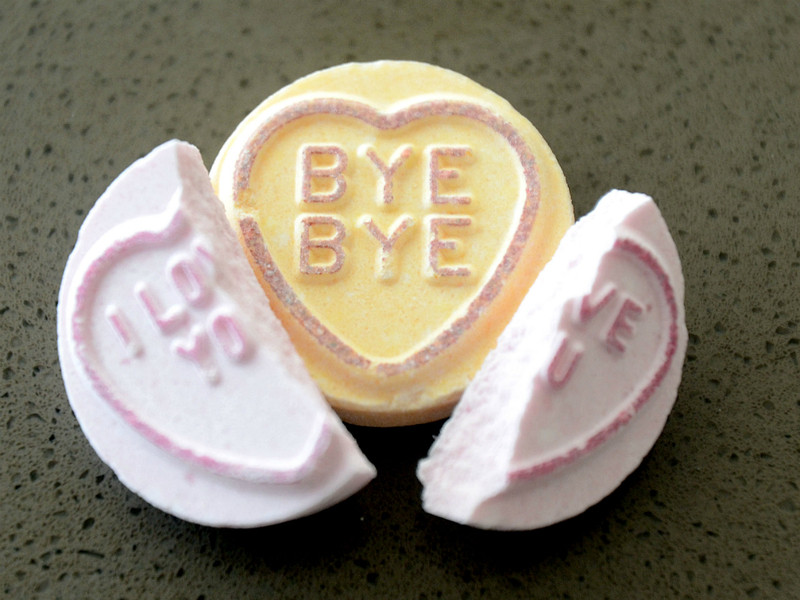 Delete them off Facebook? Pretend they never existed? Or maybe just erect a 15ft billboard along their morning commute and end the relationship there and then? One Sheffield woman named Lisa apparently did just that. She found out her husband had been cheating on her and decided to take matters into her own hands and publicly shame him for the world to see. 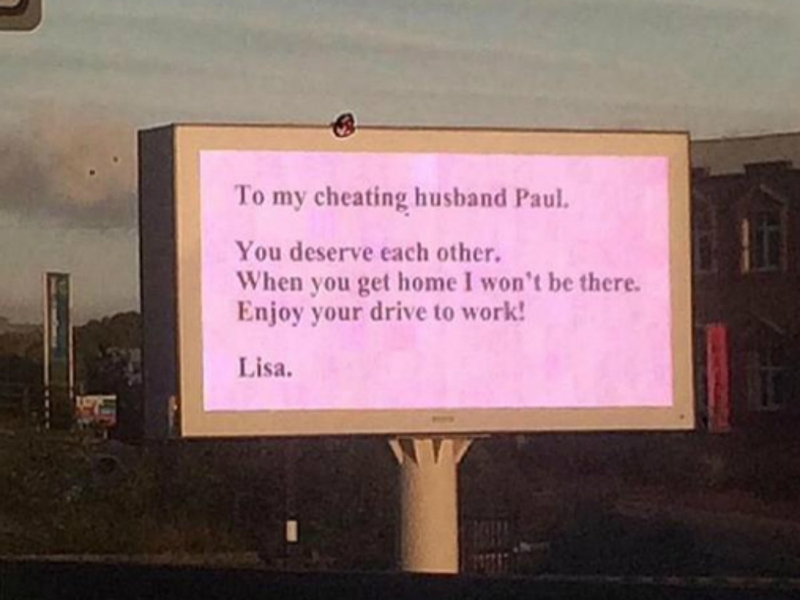 She posted a message on 15-foot high billboard beside the M1 in Sheffield, calling him out for his shameful behaviour and ending their relationship. ‘To my cheating husband Paul. When you get home I won’t be there. Enjoy your drive to work! Mark Catterall from the advertising agency Kong Media who sold Lisa the billboard advertising space, says she paid ‘hundreds of pounds’ for the sign. It was erected next to Sheffield Parkway, a busy commuter route into the city.